An inseparable part of any trip is shopping. Even just one souvenir can make your day and your mood! Everyone loves, from time to time something to remind for well spent time and exciting moments which every new destination can propose. Sofia is full of surprises and good deals for those who love to shop! If you are staying in VIP Apartments the closest place for shopping is definitely the main pedestrian street Vitosha and the surrounding Saborna and Lege streets. You can find high-end famous brands like Emporio Armani, Max Mara, Ermenegildo Zegna, Lacoste and many more. You can also enjoy more than 40 open-air cafes and restaurants on the 1 km. long stretch. Do not miss Greenwich Bookstore and Refan Cosmetics where they sell Bulgarian Rose oil products. We also recommend Alfredo's for a scoup of delicious icecream and the best espresso at Bar Memento. With its small galleries and shops with beautifully arranged displays, Shishman street is more "down to earth" type of shopping. The street stretches from Graf Ignatiev Street up to the Parliament and will reward you with beauty and clothes from local designers. Do not miss Supa star and grab a sandwich and a soup when you get hungry - note it might crowdy at lunchtime. TSUM was the only department store of this kind during the Communist years. It was full of pricy and luxirious goods nobody can afford. It is more worth a visit for the architecture nowadays. There are not a lot of shops but the building itself is like a memmory of communism and one can feel the faded glory. Overall it is a contraversial place and you can check yourself what your opinion will be. You can approach quite easily from VIP Apartments Sofia. 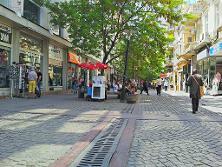 Pirotska Street offers some cheap shops for clothing, shoes and jewellry. You may find the surrounding area interesting with streets full of ethnic grocery stores and flea markets. At the end of the Porotska you will reach the famous Lady's Market which was recently reconstucted. They sell fruits, vegetables and actually all you can imagine there. Please note the area is famous for pick pocketing so pay attention to all your belongings. 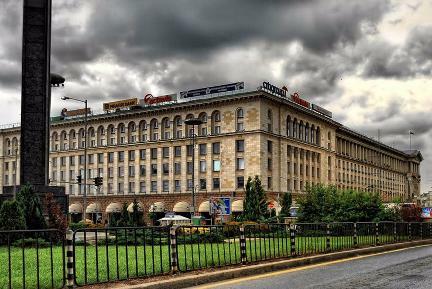 If you prefer to visit a big shopping center, Mall of Sofia is the nearest to VIP Apartments Sofia. You can find more than 130 retailers there including international and bulgarian brands. 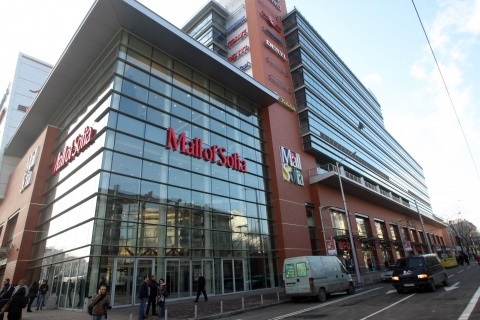 After a long shopping day you can enjoy a movie at the only IMAX cinema in Sofia.